Two people with quadriplegia improved voluntary movement and use of their hands following electrical stimulation of their spinal cords, according to a new study funded in part by the National Institutes of Health. The method used is called epidural stimulation, in which a device implanted on the surface of the upper, or cervical, spinal cord delivers electrical pulses. The subjects, who had each been paralyzed for more than 18 months following severe spinal cord injuries, gained the ability to grip and hold small objects, like a drinking cup. By the end of the study, subjects continued to show improved use of their hands even when the stimulator was turned off. A device implanted on the surface of the upper, or cervical, spinal cord delivers electrical pulses that help people with paralysis use their hands. This finding represents the first step in extending the use of epidural stimulation to improve hand function for persons with cervical spinal cord injury. Previous work examined epidural stimulation of the lower spinal cord combined with motor training, which allowed patients some voluntary movement of their legs. This study shows the same principle can be extended to the upper body and is the first time epidural stimulation combined with motor training has been used to improve function in the upper limbs of people with severe spinal cord injuries. The study was performed by a team of researchers at the University of California, Los Angeles (UCLA); Rancho Los Amigos National Rehabilitation Center, Downey, California; and Pavlov Institute of Physiology, St. Petersburg, Russia. The results are published in the May 18, 2016 online edition of the journal Neurorehabilitation and Neural Repair. The research was funded in part by the National Institute of Biomedical Imaging and Bioengineering (NIBIB), the National Institute of Neurological Disorders and Stroke (NINDS), the Eunice Kennedy Shriver National Institute of Child Health and Human Development (NICHD), and the National Center for Advancing Translational Sciences, all at NIH. Two participants with severe injuries to their cervical spine—the spinal cord at the level of the neck—were implanted with an array of 16 electrodes. 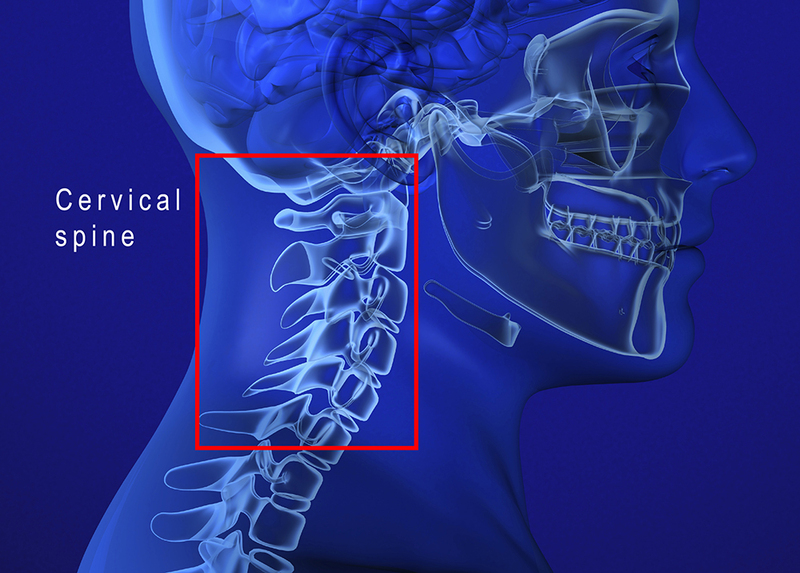 Each implant was placed onto the spinal cord at the level of the injury and extended just above and below the injury. Participants practiced grasping and moving a handgrip while receiving varying levels of electrical pulses from the device. One person was tested daily over seven days while the other had weekly sessions for eight weeks. In both individuals, hand strength improved over the course of a single session. With additional sessions, the accuracy and force the participants could generate gradually increased. The effects were maintained even in the absence of stimulation; by the end of the study, both individuals could generate more force without any stimulation than at the start of the study with stimulation. With epidural stimulation of cervical spine, paralyzed participants gained hand functions such as picking up a cup. Initially, the study participants were entirely dependent on their caregivers. However, over the course of the study, both individuals made large gains in feeding, dressing, bathing, and grooming, as well as mobility in bed and getting themselves in and out of bed, even when the stimulator was off. 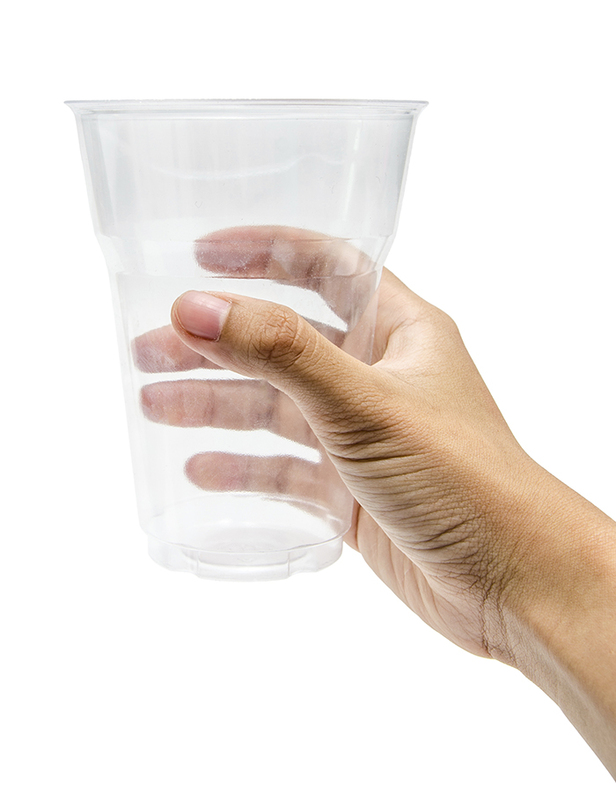 One participant could pick up and drink from a cup—something he could not do prior to the implant. “Even relatively minor gains in function of the upper limb can make huge differences in the quality of life for a person who can’t grasp anything,” said co-author V. Reggie Edgerton, Ph.D., a distinguished professor of integrative biology and physiology at UCLA, also a co-principal investigator on the NIBIB grant. Although the study only included two people, the researchers are encouraged by the remarkable improvements. Edgerton is hoping to implant stimulators in three more patients over the next two years. Additionally, the group published a paper last year on non-invasive stimulation that goes through the skin, called transcutaneous stimulation. The stimulation was applied to the lower spinal cord and allowed five men with complete lower-limb paralysis to make step-like movements. The team is currently investigating this type of non-invasive stimulation in the upper body as well and Edgerton says the results thus far are promising. Although epidural stimulation may be more precise than transcutaneous stimulation, the latter method allows for more flexibility in placement of the electrodes and doesn’t require surgery. Depending on the needs of the patient, Edgerton envisions someday using a combination of epidural and transcutaneous stimulation for both the arms and legs. He thinks both techniques may enable the spinal cord to reawaken and eventually allow for useful voluntary movement without stimulation. “The nervous system improves over time if you give it a chance to practice,” he said. The researchers are planning future studies as part of the research program that will incorporate spinal stimulation, motor therapy, and drug response. “Much more work needs to be done to understand the patient populations for which the therapy will work best, evaluate the long term safety and optimal conditions of stimulation, and to determine what other approaches may best combine with this treatment,” said Lyn Jakeman, Ph.D., director of NINDS’s program in spinal cord injury and regeneration. Funding for the research included support from NIBIB, NINDS, and NICHD (EB15521 and EB007615) and was conducted in the UCLA Clinical and Translational Research Center (CTRC), which is supported by NCATS (TR000124). Engaging cervical spinal cord networks to reenable volitional control of hand function in tetraplegic patients. Lu D, Edgerton R, Modaber M, AuYong N, Morikawa E, Zdunowski S, Sarino M, Nuwer M, Roy R, Gerasimenko Y. Neurorehabilitation and Neural Repair. 2016 May 18.